It’s a good idea to turn to some plotting expertise once you’ve worked up your characters and story premise. When developing ideas into a structured plot I always like the analogy of having the canvas and then adding the tent poles to give it shape and structure. Plotting books, like the two I’ve recommended here, will prompt you to explore the furthest corners of your story. The story analysis and the authors’ working knowledge of storytelling should demystify the process, teach you new things and inspire you to push your story to be the best it can be. Of course, not everyone wishes to conform to the ‘formula’. 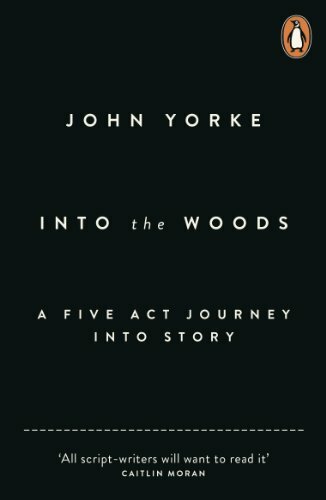 Into the Woods walks us through some unconventional storylines, but Yorke argues that they all point back to the original form and couldn’t exist without it. I think you need to understand the rules, and why they exist, before you can break them. These two books really encourage writers to consider their story from every angle, and I think they complement one another really well. Martha radiates a Californian vibe that emerges as laid-back simplicity in her plotting books. I’m a big fan of her approach, and style. She recognises that writers can either be logical and linear left-brainers, holistic and intuitive right-brainers, or balanced and so fall somewhere between the two (aka as lucky!). This perspective helps writers to think about suitable genres e.g. if you’re a logical thinker then you might find plot-driven crime easier to tackle than say character-driven literary fiction. This insight can also help you to identify where you might need to find extra help and development to balance things out. 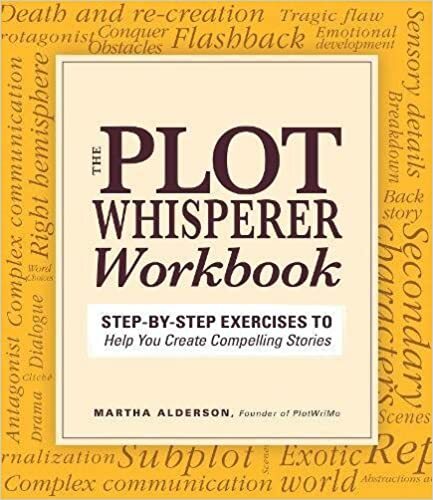 The workbook is full of useful tools such as plot planners, scene trackers and character transformation profiles. She takes you through every stage of the process, with helpful checklists for key turning points such as the introduction and the end of the beginning. The only thing I can find to count against it is that she doesn’t really emphasise the need to place the protagonist at a crossroads right from the very beginning. I think there might be a danger of novels getting off to a slow start – though that could just be my interpretation of what she says because the novel she uses to illustrate her technique is The Da Vinci Code by Dan Brown, and that’s definitely a pacy read. Martha is also an advocate of women writers and recognises that plot and structure can be a challenge for some of us. Where her approach is helpful to women is when she puts her ideas into the context of the universal story: the rhythm of life. She’s so right, the cycle of ‘moving forward’ and ‘dying off’ is ever present in life around us, our own writing journeys, and those of our characters. The cover does address scriptwriters, but this book is all about storytelling and so offers plenty for the novel writer, too. The most useful parts of the book for me are in the early sections about structure and the building blocks of stories: beats. Later on, Yorke goes into areas covered in most other writing books such as show not tell and dialogue; there’s a section on serials, too. But the most-underlined sections in my copy are where Yorke puts forwards compelling arguments for using a five-act structure, his explanation of what the midpoint is and why this moment of ‘big change’ in a novel is so important. It’s the clearest explanation of the midpoint I’ve found, and I think it’s worth buying the book for those pages alone. This entry was posted in The best books about writing, Uncategorized and tagged books on writing, plotting, recommendations on plotting books, story structure, writing book recommendations on November 22, 2018 by allieburns.